Flashback to nearly twenty years ago and finding a cyclocross bike, let alone a singlespeed, was a challenge. 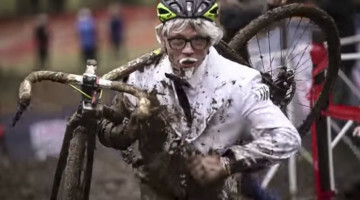 Yet for some self-supported racers, the benefits of a one-gear bike for a muddy cyclocross race were still clear. 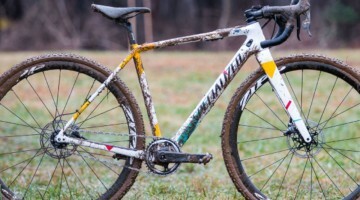 A one-gear bike for an hour of muddy racing avoided shifting issues, ripped derailleur hangers and could be lighter and more reliable than geared equivalents. 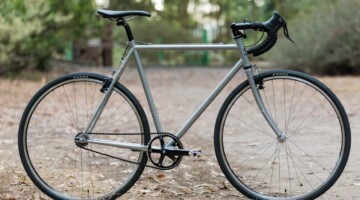 Also, since a few of us were riding old converted touring frames with horizontal dropouts, it was easy to make a singlespeed cyclocross bike without a tensioner or playing with stretched chains and half links to find a magic gear. Show up at a New England cyclocross race back then and you might have seen Independent Fabrication’s co-founder Steve Elmes spinning his custom singlespeed cyclocross bike near the front of the Killer Bs races, with Cyclocross Magazine’s founder Andrew Yee giving chase on his Zebrakenko touring bike, outfitted with shiny CDs as rear wheel chainguards. And if the big dogs were in town, Travis Brown would be at the front of the pro race, showcasing the one-gear setup that inspired Yee’s repurposing the countless AOL Internet CDs that arrived in the mail. Whit Johnson (now of Meriwether Cycles) was also into the one-gear life and would often bounce ideas around with friend Travis Brown. 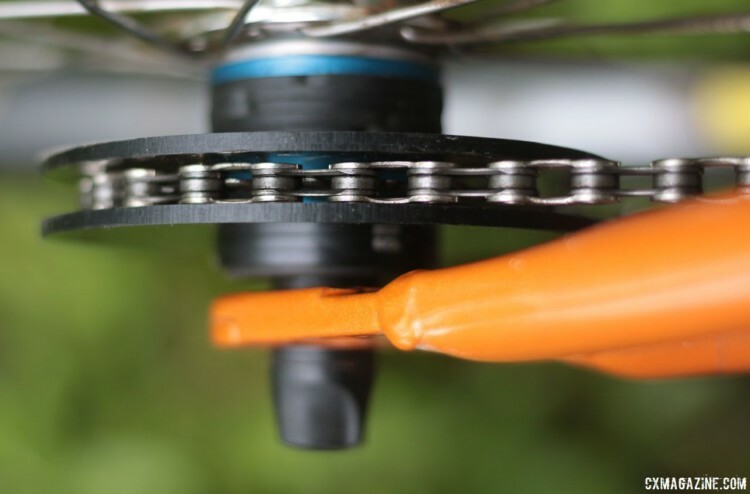 According to Johnson, the idea for a better chain guard than the brittle shiny plastic discs started over a couple of beers and went from there. During those years, Brown and Johnson would brainstorm the next big thing before heading out on rides. 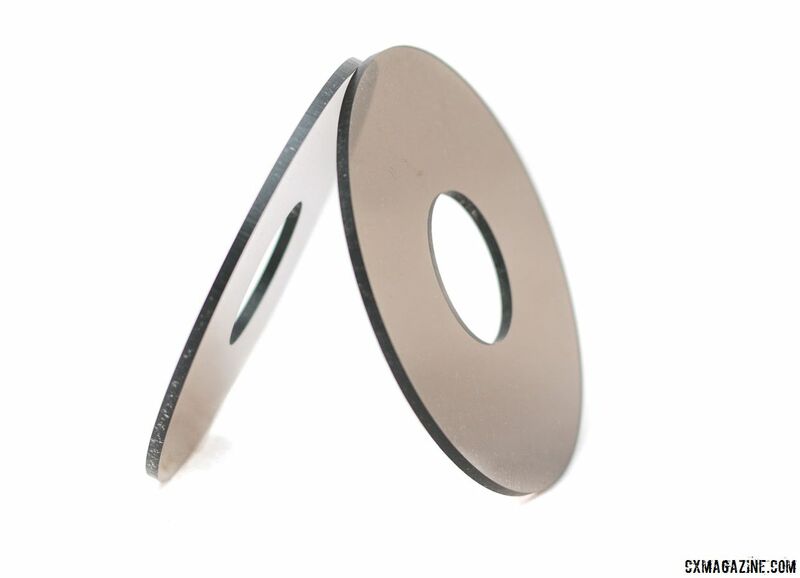 Brown created the first plastic chain guard with a drill press in his Boulder garage. Discos were born. The duo originally tried using CDs before realizing the discs’ plastic wasn’t up to holding the chain on while not cracking or breaking. Fortunately, nearby Colorado Plastics had shatter-proof plastic to meet the needs of the locals (mostly making CU-Boulder students’ bongs, according to Johnson). Brown bought a drill press and the two started fabricating prototypes. Johnson said it was a bit of a learning experience figuring out how to get it right without having to chamfer the rough edges. 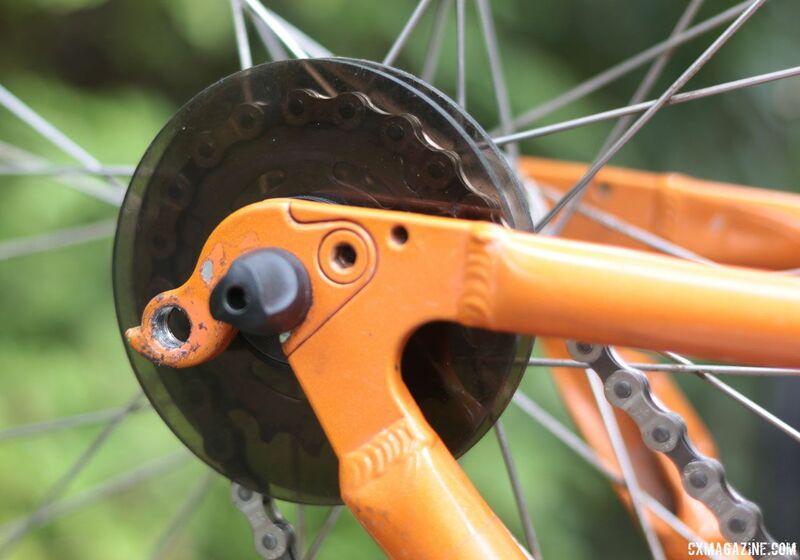 To keep the Discos in place, the two first tried stock cassette spacers but found they didn’t allow for adjusting the chainline since they were all the same width. Johnson enlisted Wheels Manufacturing of nearby Broomfield to make spacers in two widths so they could adjust the chainline as needed. 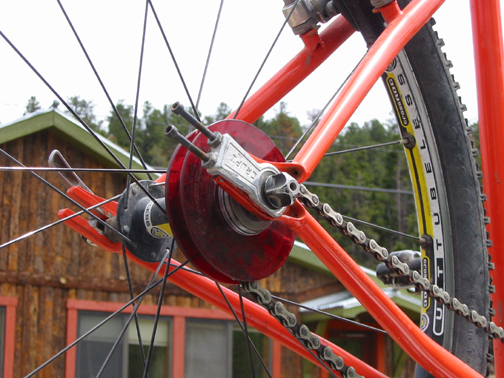 To this day, Wheels still sells its own Singlespeed conversion kit with similar spacers. Johnson and Brown eventually decided to take the Discos pro and contracted with Colorado Plastics to make a bunch in a smoke black color. CO Plastics water jet cut them and applied a nice finish. 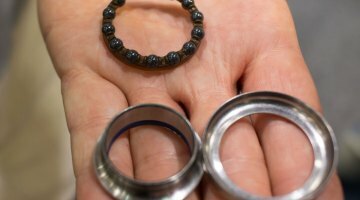 Brown also had about 50 titanium sets made by a foreign company. The Ti version is in the shape of an Iron Cross to honor the tattoo he got for winning the SSWC in 1999. The Discos hit the big time as a Bontrager-branded product on Travis Brown’s iconic 69er, but now with a plethora of dedicated singlespeed bikes available in every category of bikes and chain tensioners commonplace in any bike shop, the Discos have lived up to their name and are a still-useful relic from a bygone era. To officially close out the Discos era, Johnson cleared out his remaining inventory of plastic chain guards with spacers for just $20. It was about that time we reached out and when a set arrived in the mail a week later, the seeds for this Throwback Thursday were planted. Johnson also contributed his historical knowledge to this TBT post. 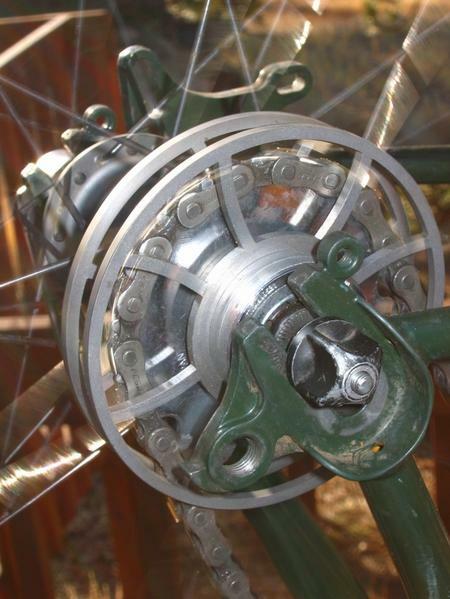 He still has hundreds of the alloy spacers, so if you’re looking to do some singlespeed conversions, drop him a line.